Description: Our original Lady Barbara and was a $13,000 highlight of the 2008 Musgrave Angus sale. The Lady Barbara family is one of Musgrave's foundation cow lines and most noted for their maternal strength, perfect udders and longevity, she is still producing at 18 years of age and is sound in every way. She had a heifer calf by SAV Renown late August 2017 that will be retained in our herd, she had an SAV Raindance bull calf early September 2018. We have embryo daughters by S A V Net Worth (#0010) and Connealy Stimulus (#1009) serving as donors in our herd. Description: A daughter of M A Lady Barbara 171 and a big bodied tank of a cow. 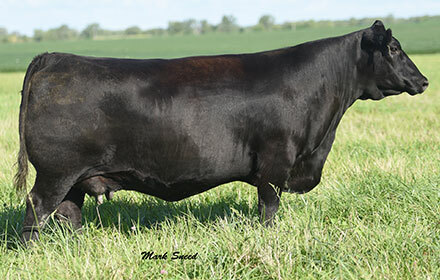 Her 2017 embryo progeny by PVF Insight, SAV Resource and SMA Watchout look very promising, watch for a special daughter or two of these matings in our 2017 online heifer sale. Description: A daughter of M A Lady Barbara 171 and quickly rising to the top of our donor roster. Her daughter by MCATL Pure Product (#314) has joined the donor herd after producing a top bull calf in 2015. She is a maternal beauty like her mother with a perfect udder and that classic Kiesewetter maternal look. 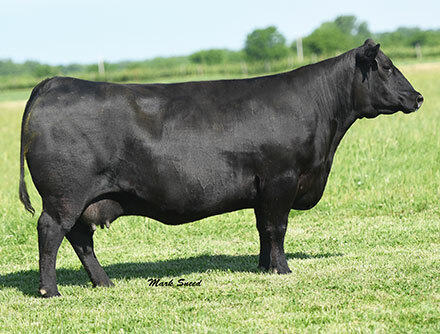 Her 2016 embryo progeny by Mohnen South Dakota included our top selling online heifer going to John Wildesen in Maryland, a replacement heifer retained in our herd and one of the best bulls in our Spring 2017 bull sale. 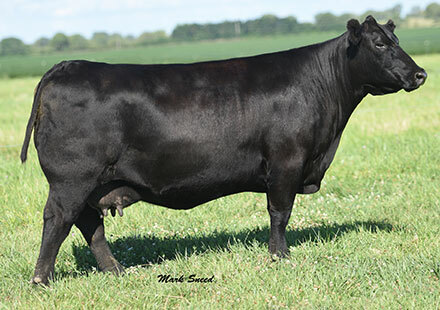 Her progeny will be the feature of our first annual production sale in 2019. Embryo daughters by SAV Renown and SAV Seedstock will sell as elite quality replacement heifers and her 2017 SAV Beacon daughter will sell with a calf at side.